OOP - RARE Slipcased Copy! West Country Witchcraft and Magic. Published by Troy Books, UK, 2013. 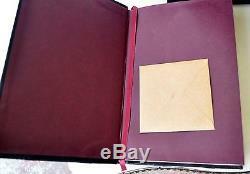 Fine Edition, Half-Leather bound, with Matching Slipcase. Limited to 83 signed and numbered copies. 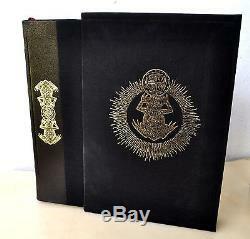 This is a very rare and very limited talismanic half-leather fine edition of. By Gemma Gary, published by Troy Books, in 2013. Only 83 fine edition copies were produced, each numbered and signed, and including a special magical talisman, made from a circular piece of toad-skin - which has been hand-painted by Gemma Gary, with hand drawn sigils. 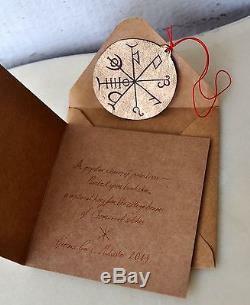 This talisman serves as a protective charm, and is housed inside a folded card, inside a small envelope note: the envelope is still sealed, so the talisman accompanying this copy has not been opened or touched. 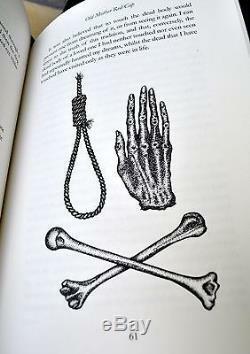 The photo of the talisman, that I have provided is from a personal copy. 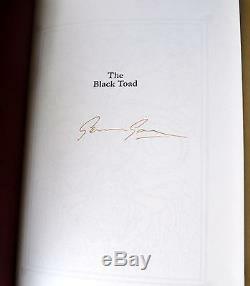 This copy is numbered #19, and also includes the very impressive slipcase, which is covered in black cloth, and feature a large gilt-stamped toad device on the front. These slipcases were optional, and cost extra, so not all 83 copies came with a slipcase. Gemma Gary has also been published by Three Hands Press (Xoanon). This important book would make a significant addition to any serious occult library. 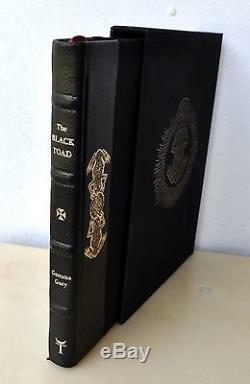 The book was presented as a black cloth, leather and toad skin sewn half binding, with goat leather to the spine; gold blocked to the side with a double toad device, and with black toad skin to the corners, gilded edges and a burgundy ribbon marker. 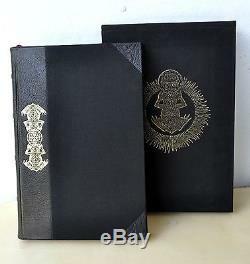 An optional lined slipcase in full black cloth embossed on one side with Toad device. Quoted from foreword by Michael Howard. Explores potent examples of the folk-ceremonial magical practices and witchcraft of the south-west of England; dealing especially with Devon and the authors homeland of Cornwall. Within the West Country, the popular belief in witchcraft and its attendant charms, magical practices and traditions continued to be observed and survived long after such ways had faded in most other parts of the British Isles. 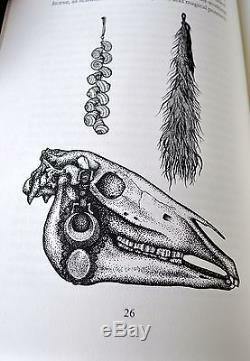 Is a collection of some of the fascinating magical practices and lore of the West Countrys cunning folk and early modern witches; ways that have survived and evolved within the rarefied Craft of the areas modern day witchcraft practitioners of the old persuasion. 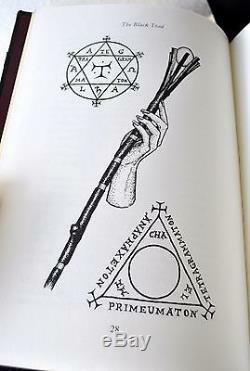 As this book affirms, these ways of the Old Craft and Cunning Arte include a belief in and working relationship with the spirit forces of the land, the Faerie, animal and plant lore, as well as the magical use of Psalms to cure or curse, the invocation of Christ and the power of the Holy Trinity. Pagination: 224 pages, plus 28 pages of photographic plates (50 photographs by Jane Cox), 28 line drawings and figures by the author. 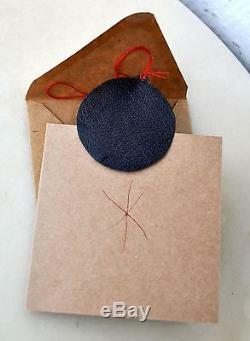 Foreword Introduction Power and Preparation Old Mother Red-Cap. Protections and defences Cure-Charms and Protections against Ailment Desires and Good Fortune Vision. Virtues of Trees Infusions of Virtue Curative Plant-Charms Protective Plant-Charms Plant-Charms for Love Blackthorn Blessing-Ash Plant-Charms for Animals. Curse-Magic and Blasting Retaliation Magic and Counter-Blasting Weather Witchcraft Circles of Power In League with the Devil. Please select "Expedited" when paying the auto-invoice. Check out my other items. & b e sure to add me to your favourites list. 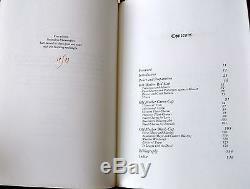 As I will be listing many other Rare & hard-to-find books, artworks and many other items of interest. 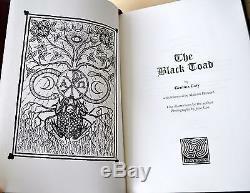 The item "THE BLACK TOAD Deluxe LE/83 Talisman Gemma Gary Witchcraft Grimoire Troy Xoanon" is in sale since Tuesday, August 1, 2017.